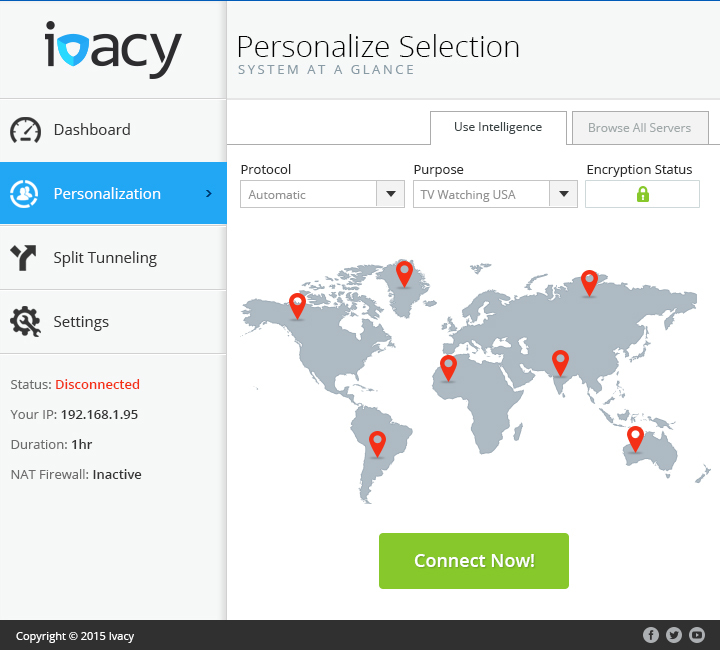 Founded in 2007, Ivacy is a promising little VPN provider that has a lot of potential. It is a relatively small service and is still finding its feet in the VPN industry. 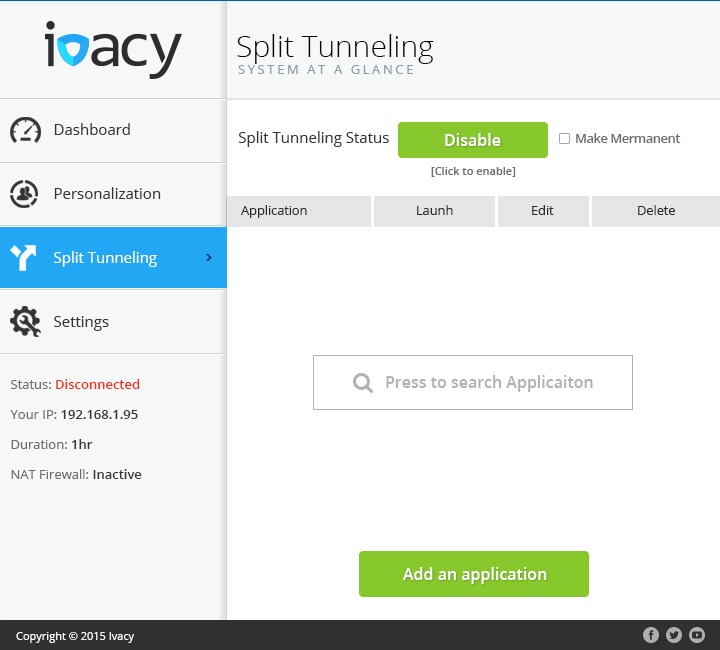 Ivacy was the first VPN service to offer Split Tunneling feature (as it claims on its website). It has recently been revamped and with impressive new features, it is one of the most secure VPN services we have come across. While selecting a good VPN service can be a painful experience at times, but selecting a VPN service that runs on your device can even be more painful. The users often complain about the VPN’s inability to work on their devices due to poor device compatibility. Therefore, it becomes one of the top priorities while finalizing a VPN service for your device. For all that we know, Ivacy VPN provides decent device and operating software compatibility to its users. 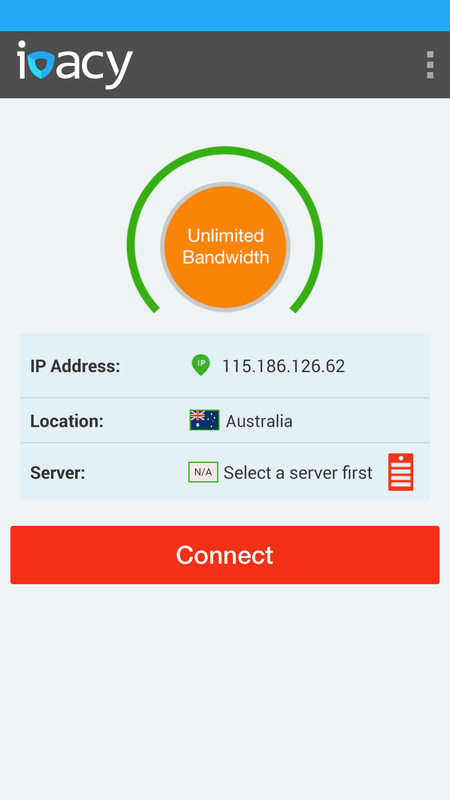 With a smooth running VPN client for Windows, Mac, iOS and Android and you are definitely going to enjoy using it on your device. Apart from providing the VPN clients for the aforementioned operating software and devices, it can also be manually set up on Linux, Routers and gaming consoles. A lot of things come to mind while selecting a VPN service. The users are usually reluctant to try the VPNs because of the fear of being robbed – not in a literal sense but in terms of the services. Therefore, the pricing and the subscription plans become all too important for a user to ignore. Having reviewed several VPN services in the past, we can safely say that Ivacy VPN is not your ideal cheap VPN service. But what we can tell you is that it offers great value against the services and the features it offers to its users. For starters, the Ivacy VPN provides three subscription plans to its users – the monthly plan, the half yearly plan and the annual plan. If you are travelling or you need a VPN for a short period, it recommends you its Monthly plan which costs you $9.95/month after a 17% discount. Since the packages are universal, you will be able to enjoy all the features on the monthly plan as well. The half yearly plan or the six-month plan costs you $5.99/month after a 50% discount. Since the payment is made up front you will be required to pay $35.95 every six months. The annual subscription or the Premium account is the most recommended plan by Ivacy VPN. You can get it for $1.83/month after paying $21.95 up front on the yearly basis. Since our love with the server range is impeccable, we went straight to inquire about the locations of the servers of Ivacy VPN. Having often been quoted as one of the lucrative USPs, the server range counts as one of the main prospects that hooks the user in using the service. While checking the service, we had to double check the server countries and locations to make sure we do not confuse our reader with wrong information. With 250+ VPN locations on offer in 100+ location, the users can rattle the restrictions without getting noticed by their ISPs. You can use the VPN servers to connect to some of the streaming services like Netflix and Hulu that are restricted for viewership in certain regions. 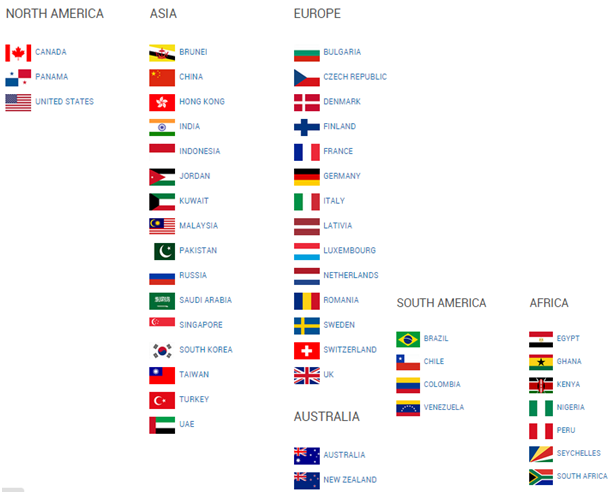 Ivacy VPN provides servers in Canada, Panama, United States, Brunei, China, Hong Kong, India, Indonesia, Jordan, Kuwait, Malaysia, Pakistan, Russia, Saudi Arabia, Singapore, South Korea, Taiwan, Turkey, UAE, Bulgaria, Czech Republic, Denmark, Finland, France, Germany, Italy, Latvia, Luxembourg, Netherlands, Romania, Sweden, Switzerland, United Kingdom, Australia, New Zealand, Brazil, Chile, Colombia, Venezuela, Egypt, Ghana, Kenya, Nigeria, Peru, Seychelles and South Africa. We have always made a point about wide protocols support. If a VPN service provides you with all kinds of possible protocols, be sure that it takes your privacy very seriously. That being said, a diverse protocol support also gives the users the liberty to tunnel their traffic through any of the protocols they like. Ivacy VPN does a fine job with the protocol provision and offers PPTP, SSTP, L2TP-IPSec and OpenVPN protocols to its users. From streaming and fast browsing to safe and secure access to the internet, Ivacy VPN ensures the users enjoy the luxuries of the internet without compromising on their online security. Whilst many play down the role of encryption and rate the protocols higher, we think both are important and therefore one should not be complacent about the encryption support he gets. Ivacy VPN provides at least 256-bit encryption to make sure all your traffic is safe with its highly functioning algorithms. We would have loved to see Ivacy taking the encryption a bit seriously but we would still vouch for it without an iota of doubt. Many VPN services back away when it comes to providing the P2P services to their users. Since the P2P filesharing is banned in many countries, it takes some grit to go out of the way to make sure the users enjoy the filesharing services. Ivacy VPN is one of many such VPN providers that are providing the torrenting facility to their users. Ivacy VPN claims to provide optimized P2P servers with blazing fast speeds to ensure your download and upload do not suffer speed losses. It takes your online privacy to a next level and provides you with P2P server locations in countries where P2P filesharing is allowed by rule and law. 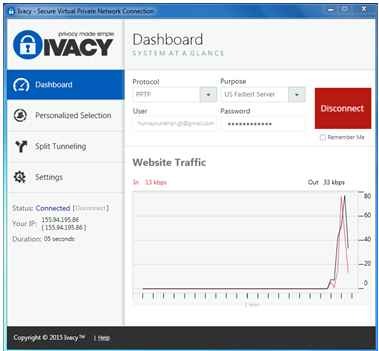 While some of the VPN services bring with them the painful experience of installing and running them on devices, Ivacy VPN offers a simple one-click solution for download and installation. You can visit Ivacy’s website and click on “Download Now!” to download the set up. Once the setup is downloaded successfully, install it and make sure to check on “Launch Ivacy”. Ivacy VPN will automatically be launched once the installation is completed. But your job does not end here even after the installation; you will be required to fill in your details and to select the server and other necessary options before you could enjoy using it. 1) Post successful installation, you will be presented with the following screen. You will see the Dashboard where you will have to make adjustments to run it on your device. 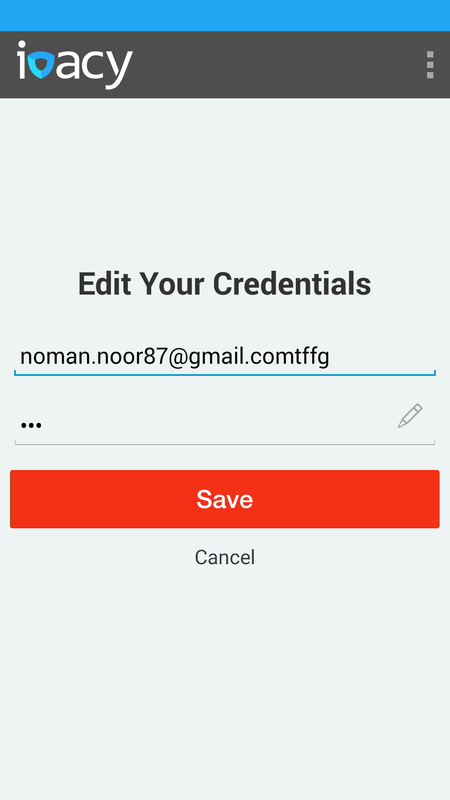 Enter your credentials in and select the protocol and purpose before clicking on Quick Connect. 2) You can let your VPN decide the protocol or you can manually select the one you like. In our case, we chose PPTP as our connecting protocol and connected to the US fastest server. 3) Just for the record, you can also select the Purpose as per your choice. You will have different choices to choose from. 4) Once you have selected your purpose and protocol, click on Quick Connect. Your VPN will hardly take a minute before it connects you with its server. 5) Notice the panel on the left of your VPN Client? You can make use of it as well while configuring Ivacy on your device. You can check out all the options to get to know what more does it offer to you. Click on “Personalized Selection” to explore all the options. 6) You can also use the Split Tunneling option, the feature that lets you select some of the applications to run separately without eating the bandwidth off your VPN service. But to be able to do that, you will have to run Ivacy VPN with Admin Rights. 7) Last but not the least, you can also check all the settings before you decide to connect your VPN. Save the settings and enjoy using Ivacy VPN. 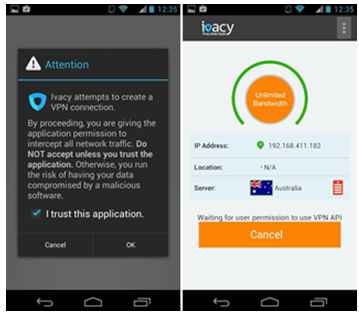 With device compatibility being its forte, the Ivacy VPN’s app can easily be found on Google Play for free to download and run it on Android smartphones and tabs. 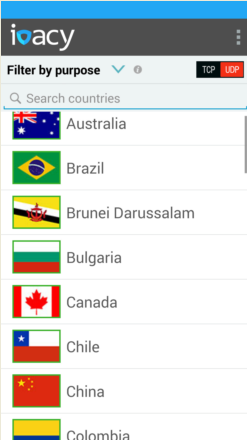 The app will run smoothly on any Android device that is running Android 4.0 or above. The app size is comparatively small than other VPN services and is very easy to use. Tap on the “Red card” in front of the servers to select any of the servers of your choice. Once you have selected the server, you will be brought back to the screen where you will be required to tap on “Connect”. Meanwhile, you can click on three vertically lined dots on the right top of the app to explore further options. Now tap on “connect” and wait for the connection to be established. But before it does that, it will ask for your special permission, tap on “I trust this application” and proceed further. Having approved the app, your VPN will take some time before it connects and grants you the access to all blocked services and websites. With Ivacy VPN now connected, not only your browsing is safe, but you are also hidden from the cybercriminals. Enjoy unblocking Netflix and much more. We have often emphasized how important it is for a VPN service to have features like Split Tunneling on offer. They provide extra value to the services of VPN providers. Ivacy, like many of its competitors, fully understands the importance of such features from the perspective of its business and from the perspective of its users. It knows how the Split Tunneling can help the users cut down the load of their VPN services. With Ivacy’s Split Tunneling feature, you can take load off your VPN service by curtailing down the applications that put extra load on your internet speed. You can choose to route your traffic or app with Split Tunneling and save bandwidth of your internet by instructing Ivacy VPN to exclude the apps, which will still run in the background but without the protection of the VPN. Imagine running a VPN service on five different devices simultaneously under a single username. Well, that is what you get with Ivacy VPN. Since diverse device compatibility is one of its many fortes, it provides an opportunity to its users to stay connected and protected with Ivacy VPN all the time. The users can install and run it on their laptops, smartphones, iPads, tabs and gaming consoles and can use it without experiencing any glitch. Ivacy VPN provides 24/7 Customer Support to all its users and yet we think it is an area where it needs to improve vastly. Their Customer Support lacks Live Chat option but it does provide you with the option to open a ticket and also offers you various setup guides and tutorials as a part of its Customer Support. Ivacy VPN does not record or store your Meta logs or keep an eye on what you are browsing and which applications are you using on your smartphones, laptops, tabs and iPads. Ivacy puts your privacy on top off its list, hence makes sure to provide you a transparent service. Ivacy VPN does not operate on a large level as yet and it is providing its users with all the features, services and offers that are provided by its competitors in the VPN industry. The users can also avail the free trial to run a test on its servers and protocols to see how it performs and whether it lives up to its reputation or not. 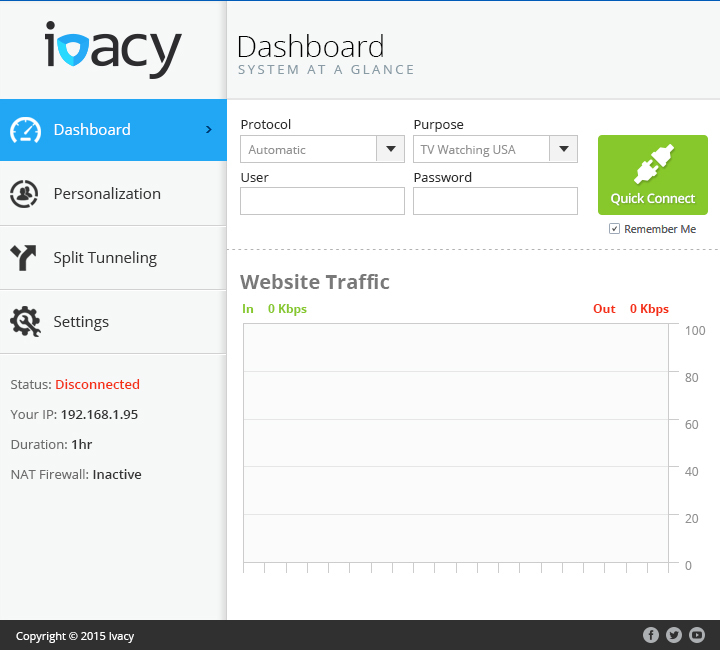 The Ivacy VPN provides a 3-day free trial to ensure the users can try its services before they give it a shot. Reviewing Ivacy VPN was difficult and yet a fun thing to do. Difficult because Ivacy, as stated above, is comparatively new and has been revamped so it does deserve some margin of error due to changes in the panel and the sudden changes in its operational ways. Fun because Ivacy tends to surprise everyone with what it is offering right now. If you are a veteran user, you will be surprised to see the features and services offered by Ivacy VPN. They are as good as any other VPN giant out there. 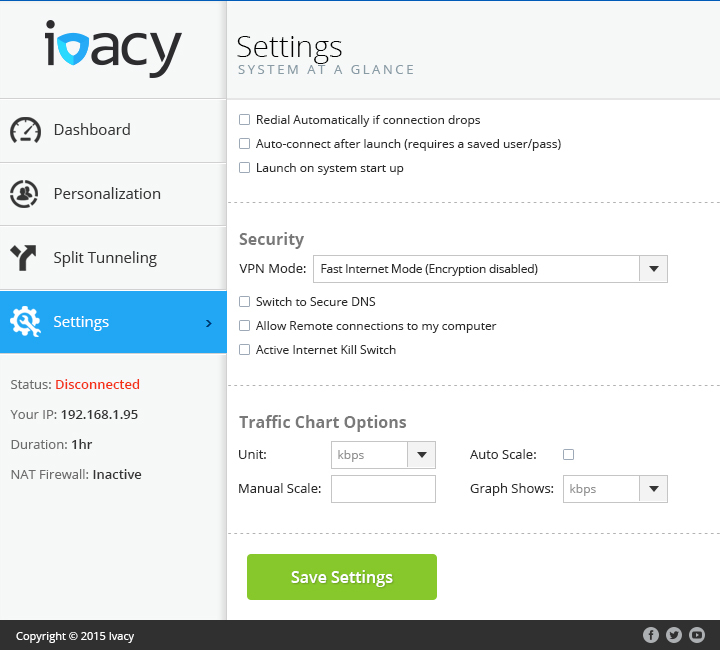 Yes, it needs improvement in some areas, but all in all it was fun reviewing Ivacy VPN. We would recommend all our readers to give it a shot if they are looking for a VPN full of smart features.